Meet Mrs. Weth’s Wonderful Workers! Every year I have the students draw a self-portrait using Microsoft’s Paint program. 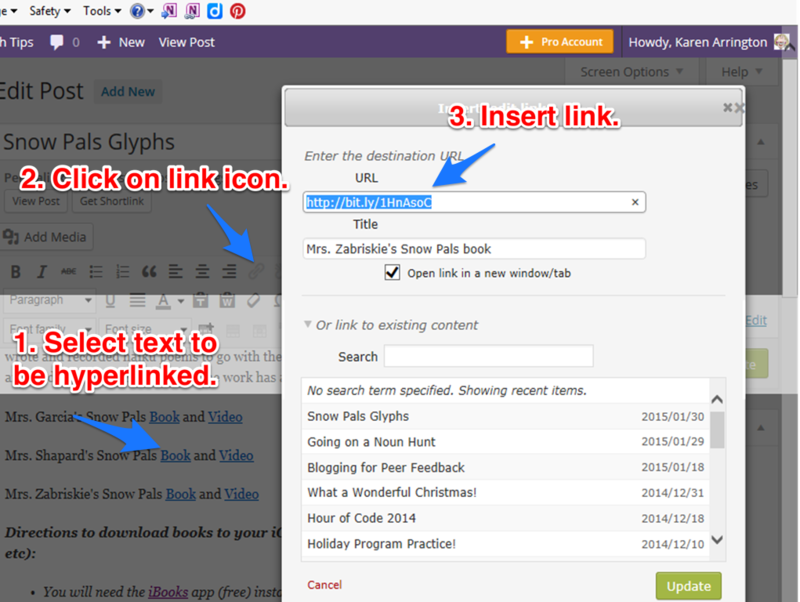 These have a variety of uses: avatars for blogs, printed for bulletin boards, “All About the Author” pages, and so on. 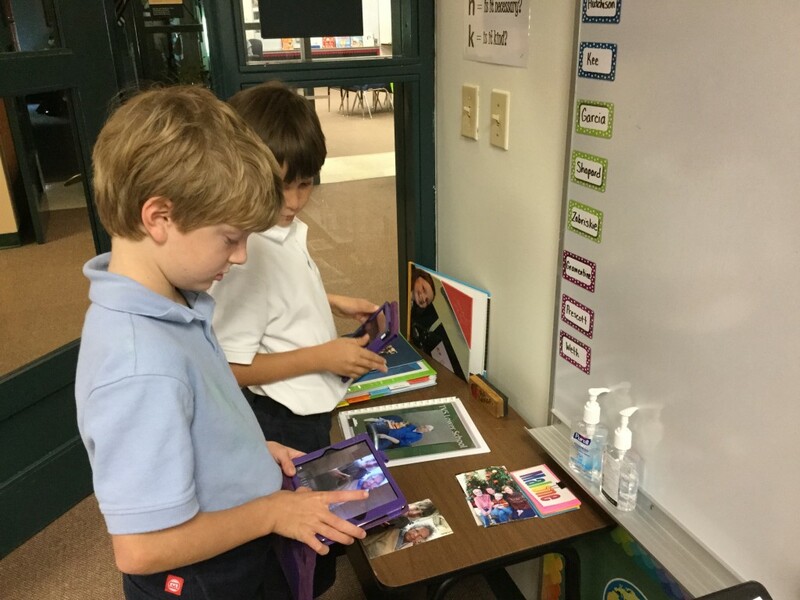 Mrs. Weth, one of our third grade teachers, likes to have her students use the portraits to create a video for our Grandparents’ Day. Her students write an “I Am” poem then record it with their portrait as the backdrop. 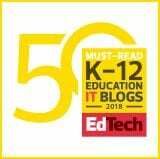 Last year she used Explain Everything for the project. This year, we chose Book Creator due to their new feature allowing users to export the book as a video. 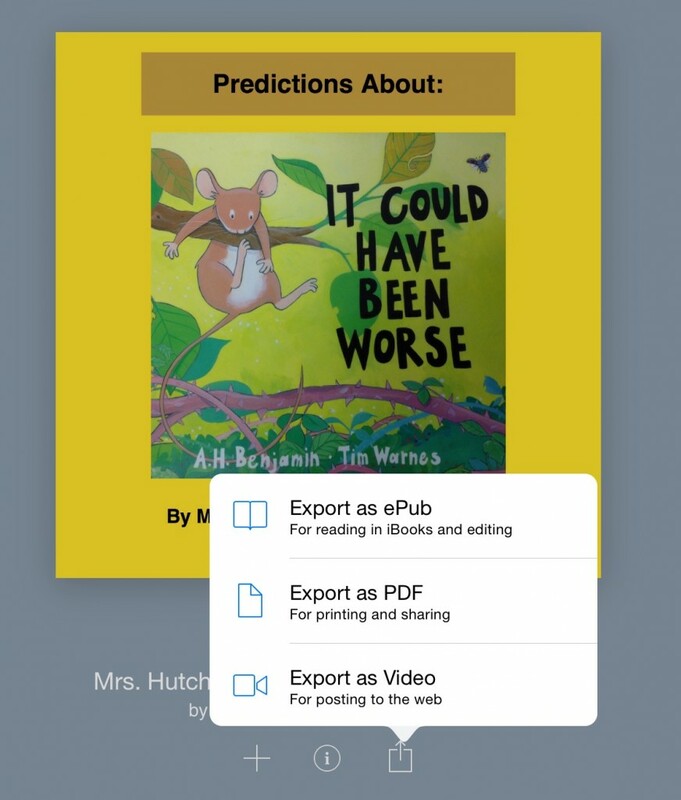 By going with this app, we were able to save the book in two formats: ePub book and video. This gives our families options on how they want to view the students’ work. 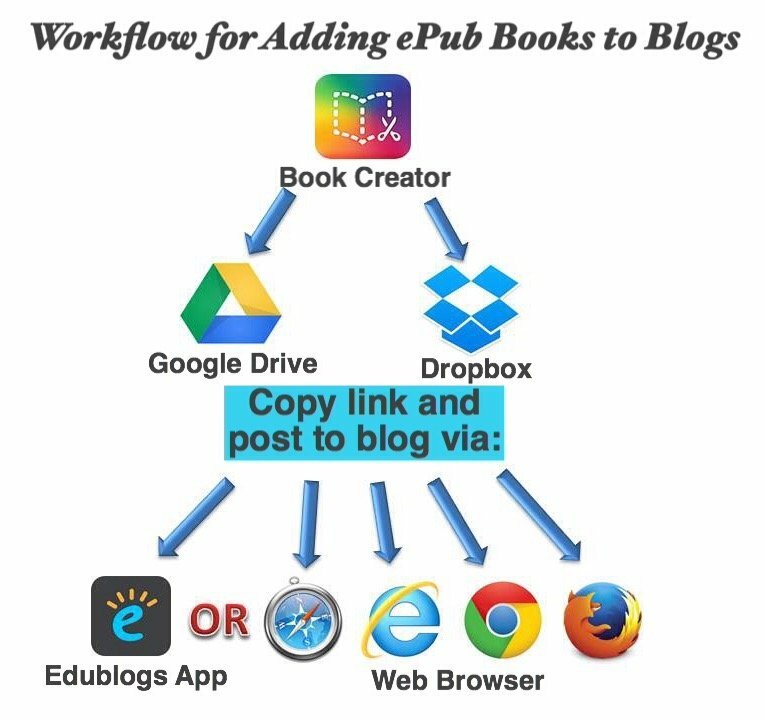 For the ePub book, choose download while on an iOS device and open in iBooks (make sure that app is installed on your device). Every person is creative in their own special way. Each of us can find a way to “make our mark” by helping and encouraging others. 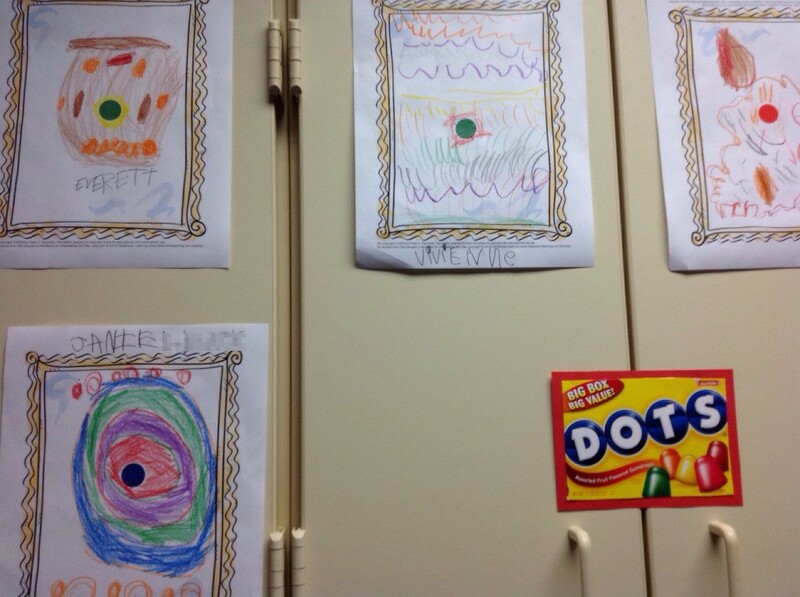 Our kinder teachers gave each student a dot and a “swirly gold framed” paper. 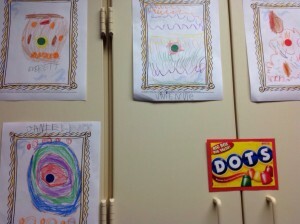 The students created a picture from their dot. 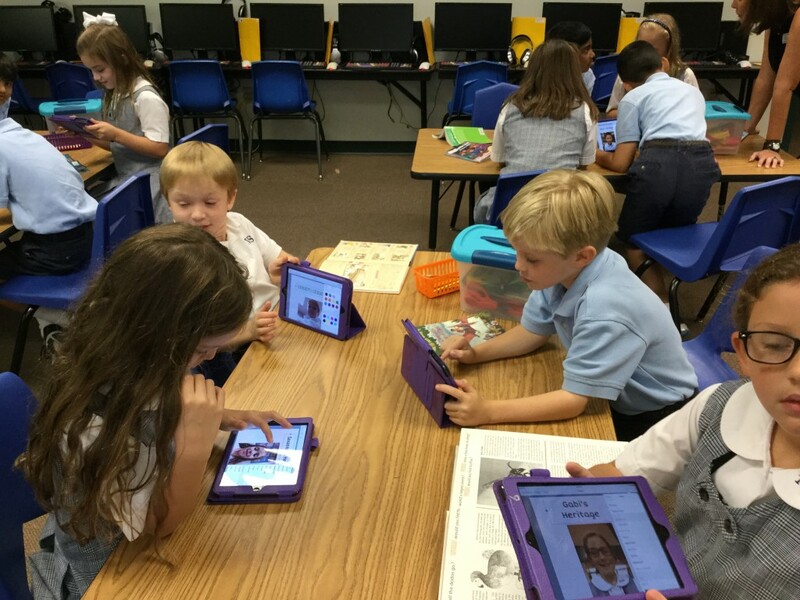 The first graders had a two-part lesson. Mrs. Cooper introduced the students to making their creative mark by reading The Dot. 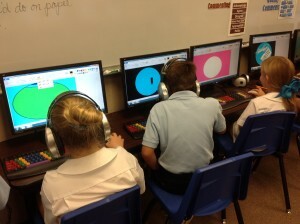 The children were then given the dot coloring sheet for use with the ColAR app (free in the App Store and Google Play). Lots of colorful illustrations were made as the students were told that the following week they would see something magic happen to their dots. 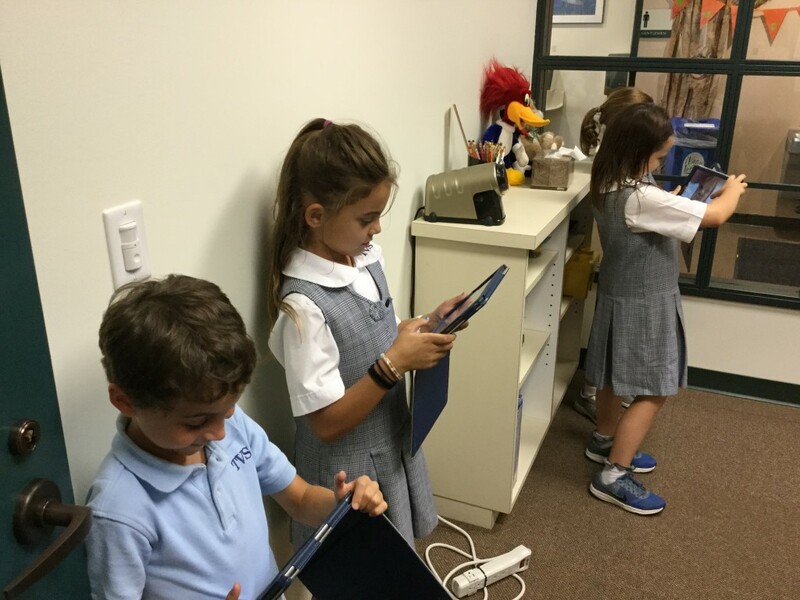 When the first graders returned to the lab, I showed them how to use the ColAR app. 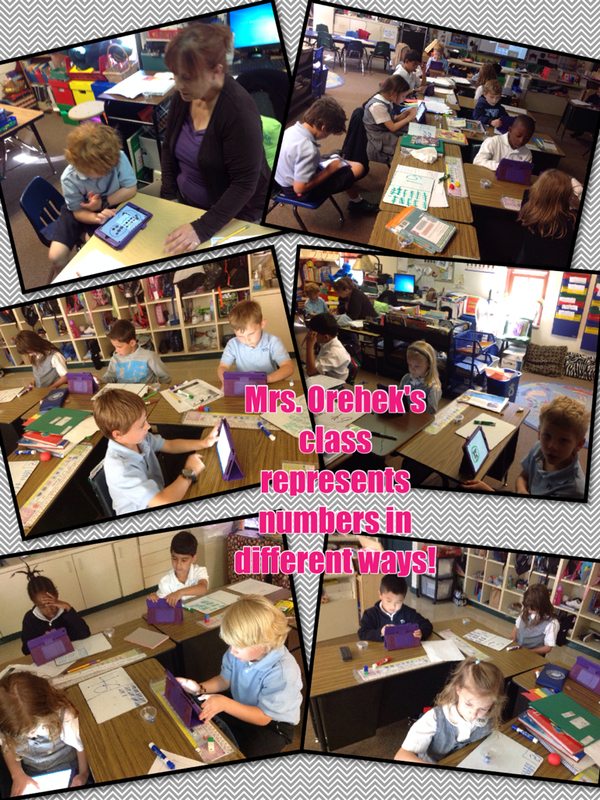 Amazed “oohs” and “aahs” were heard as my dot became 3-dimensional! 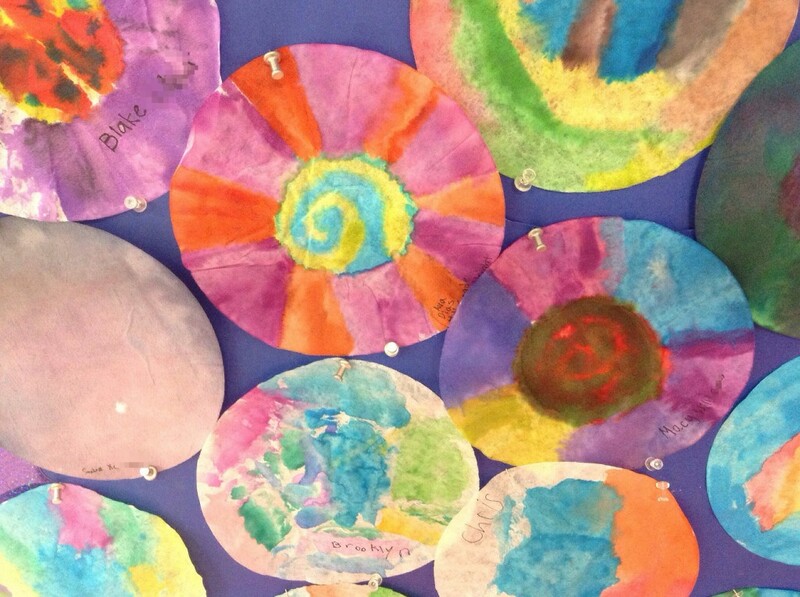 The students were thrilled to see their own dots come to life. Mrs. Cooper worked with the second graders to create a dot using the Drawing Box app. 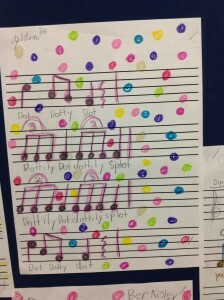 She explained to the students that, just as people are unique, their dots would be different from their classmates. 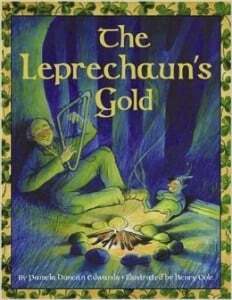 But, when joined together, they would create a tapestry of colors. The children discussed how they were individuals but each unique person was needed to make a successful group – just as each dot they drew was important to the overall tapestry. Because of time constraints, I was only able to work with two of our three fourth grade classes (the third class participated in Dot Day in Spanish). In one class, I asked the students to create a PowerPoint slide that included their name written in Braille and clip art that represented some of their interests. 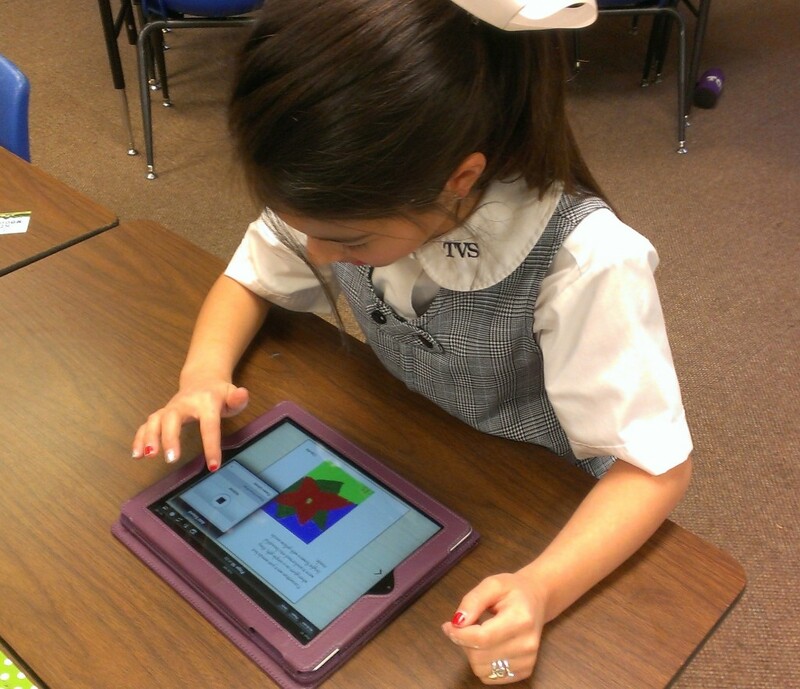 The students used the Braille Bug website to convert their name to Braille. They then used the shape tool and duplicate shortcut to create dots to form their Braille name. 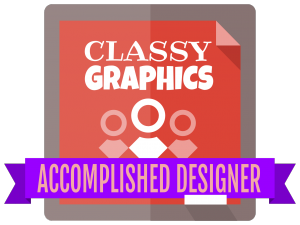 After adding clip art, I asked the students to save their slide as a jpeg (at this point I hadn’t decided how we would share their work). 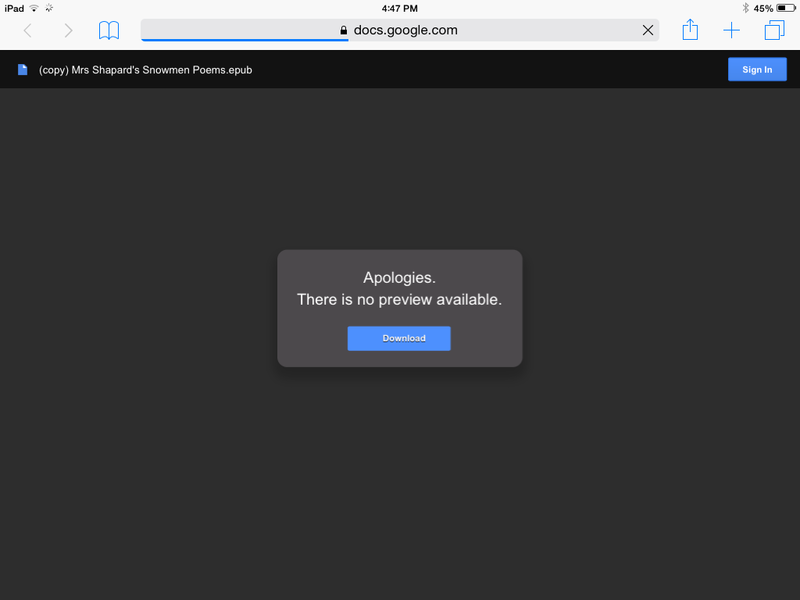 I ended up creating one slideshow with their images. 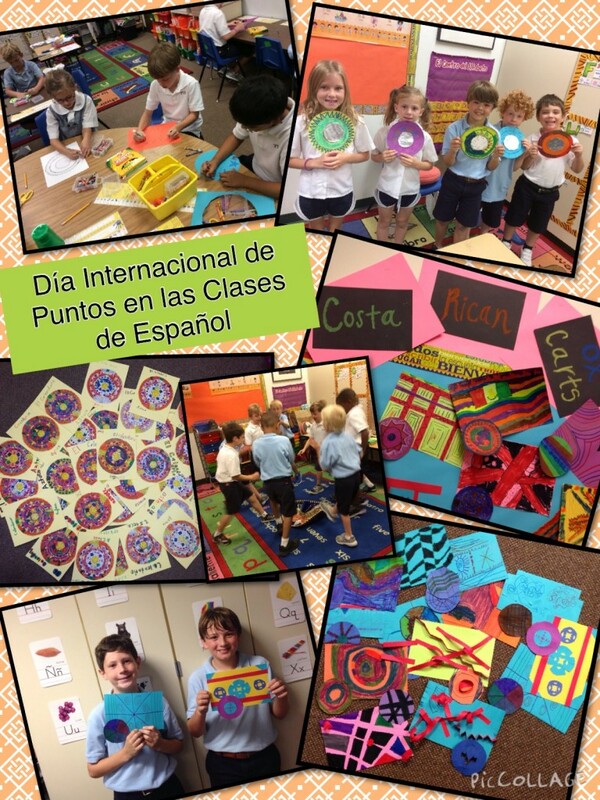 Of course, Dot Day wouldn’t be complete without music, art, and Spanish and those teachers led some very creative activities! Mrs. Holloway had her music classes practicing musical note writing as they composed Dot songs. First graders in Mrs. Black’s art classes used watercolors to beautifully decorate coffee filters. Click here to view more art and music pictures. 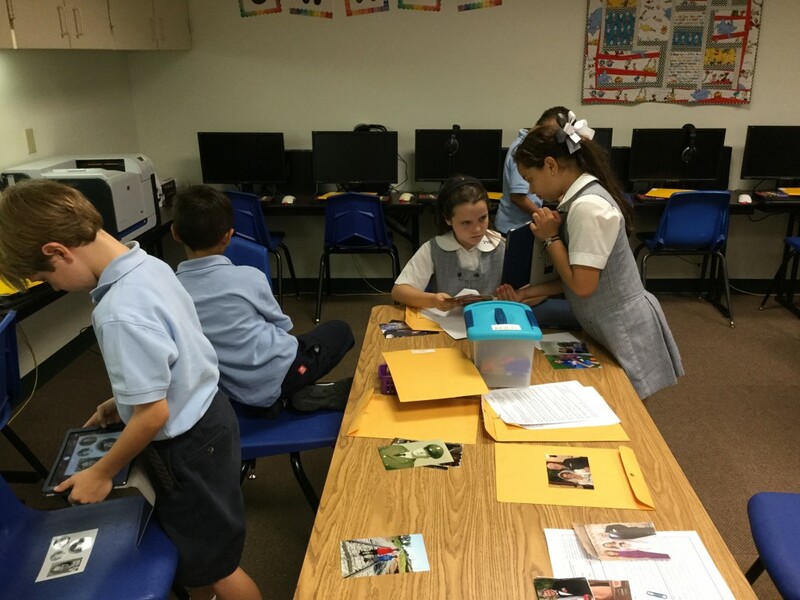 Click here to view more images from our Spanish classes. 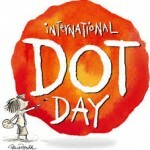 We are proud to be part of International Dot Day 2014 but our creativity doesn’t stop in September. We will continue to make our mark all year! 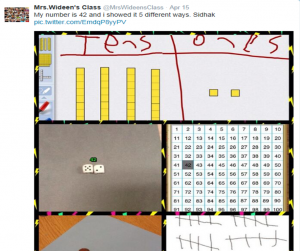 After discovering a tweet from a student in Kristen Wideen’s class telling how the children were representing 2-digit numbers, I shared the idea with the 1st grade team. 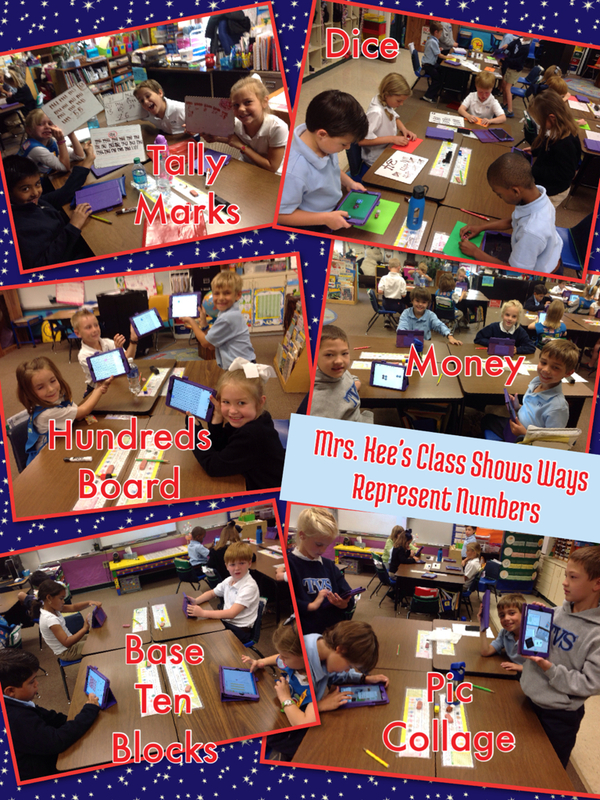 They were excited to have another way for the children to practice number sense. After brainstorming with the teachers, we decided to use a combination of manipulatives and apps to represent numbers. The children use concrete manipulatives throughout the year so they had lot of experience working with money and base ten blocks before moving to apps. 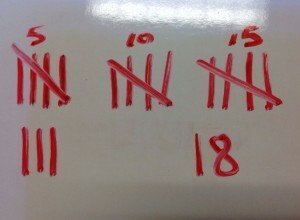 Individual White Boards – to draw tally marks of their number. 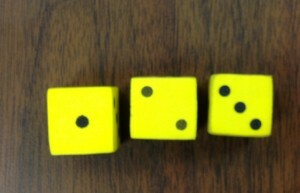 Dice – We first started out with 2 regular dice (1-6). 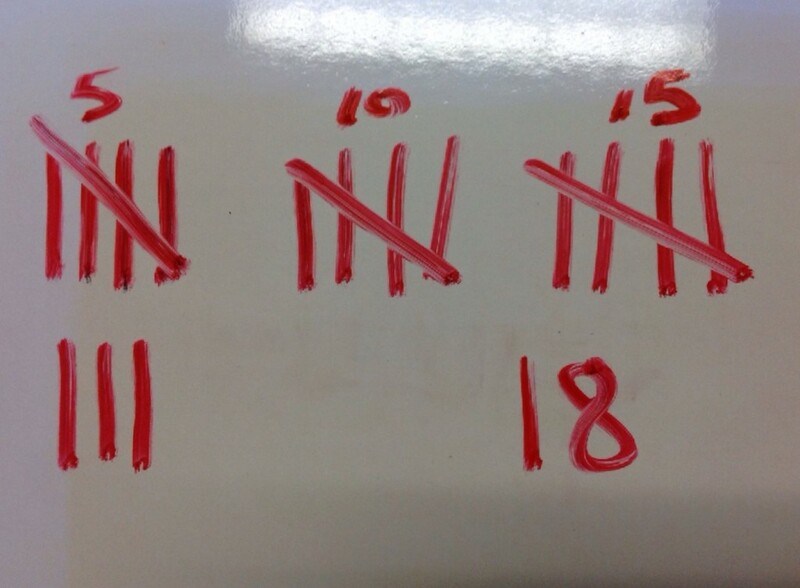 Those students who had chosen a number with digits greater than 6 quickly discovered regular dice didn’t work! This turned into a perfect problem-solving activity. Should we change the number? 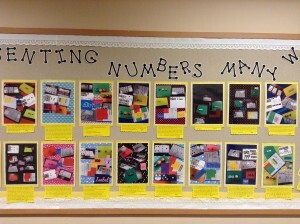 What else could we do to show our number? Hundreds Chart – We chose the free, easy-to-use SchoolKit Math app. 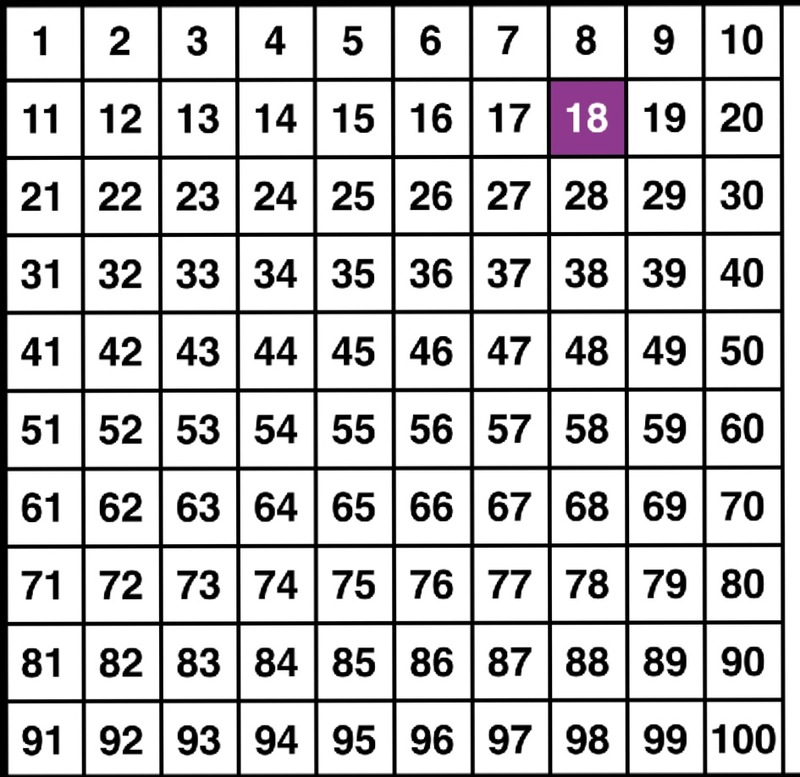 The hundreds chart is one of 10 activities within this app. 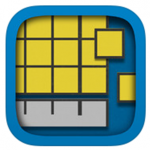 Base Ten Blocks – We used the Number Pieces app. 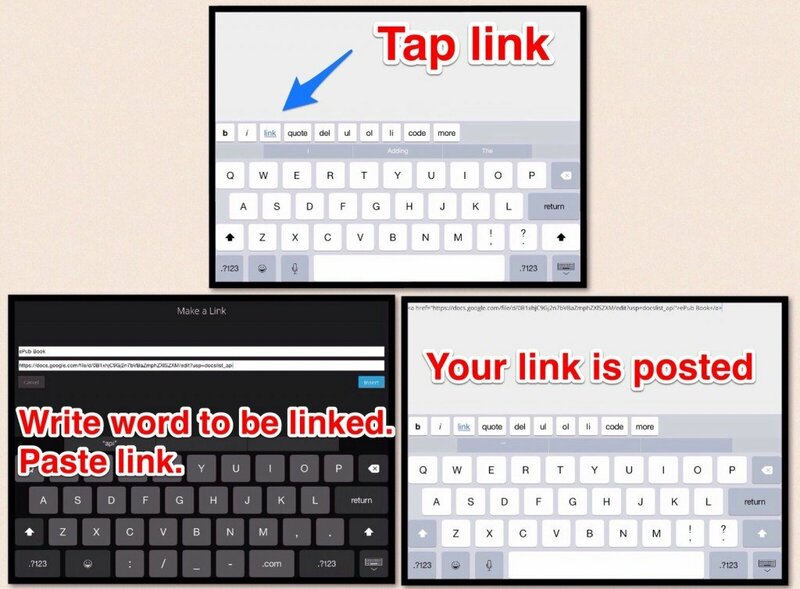 (Thanks to Mrs. Wideen’s class for recommending the free app!) 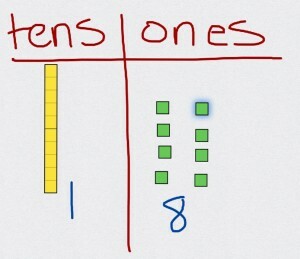 We asked to draw a T-chart and label it with tens and ones. 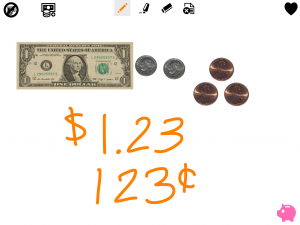 Money – One of the choices of the SchoolKit Math app is money so this is what we used. 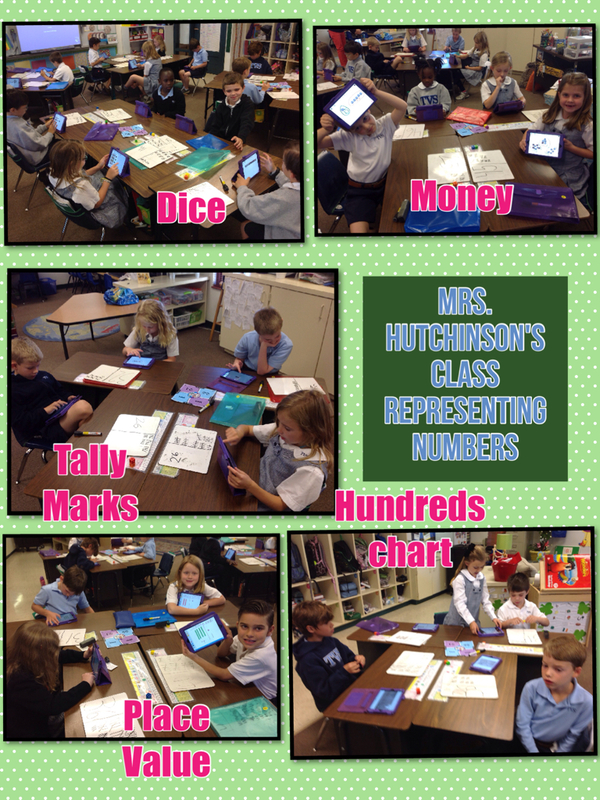 The students were asked to represent their numeral using a couple of different money combinations. Before starting, we reviewed how to use the camera and tips on taking a clear picture. Then we practiced taking a screen shot. We also talked about cropping images and I was amazed at how quickly the children picked that up! 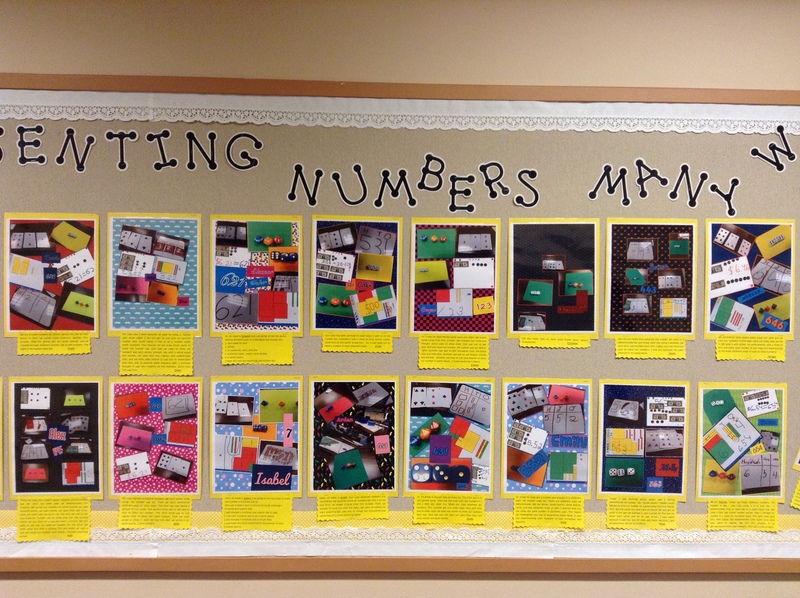 Next, we went through each method and “built” our numbers. Finally, we were ready to pull everything together in Pic Collage. The students LOVED building their collage and trying out the wide variety of backgrounds! 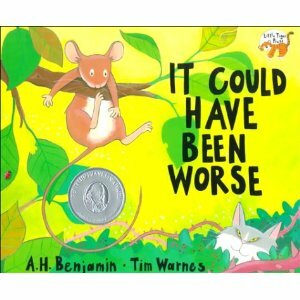 Because we ran out of time during our first session, we met later to have the children post their collage to their blog. The children loved the activity (as did the teachers). 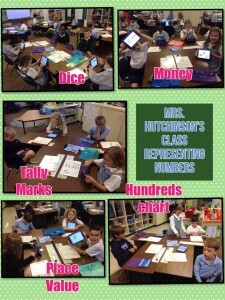 Plus, it was a great way to check to see how students were doing with their number sense using 2-digit numbers. 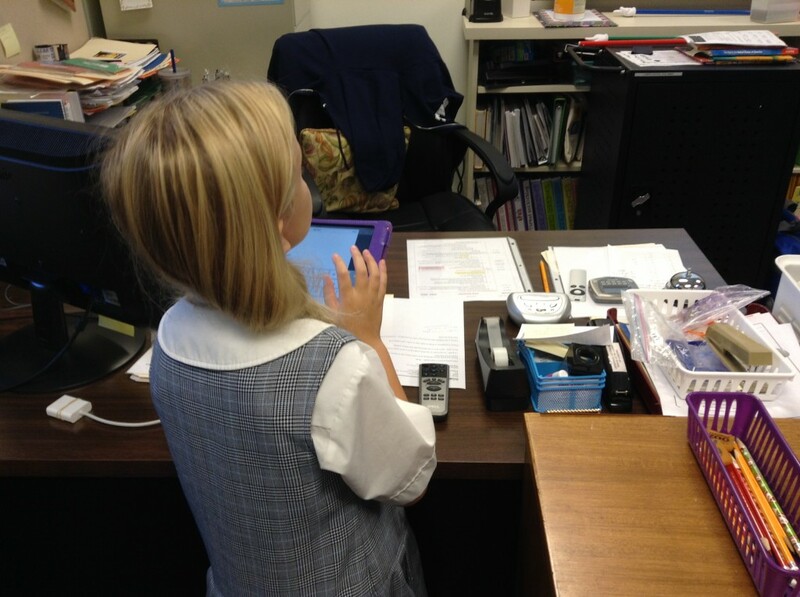 We are a K-12 private school divided into three divisions. 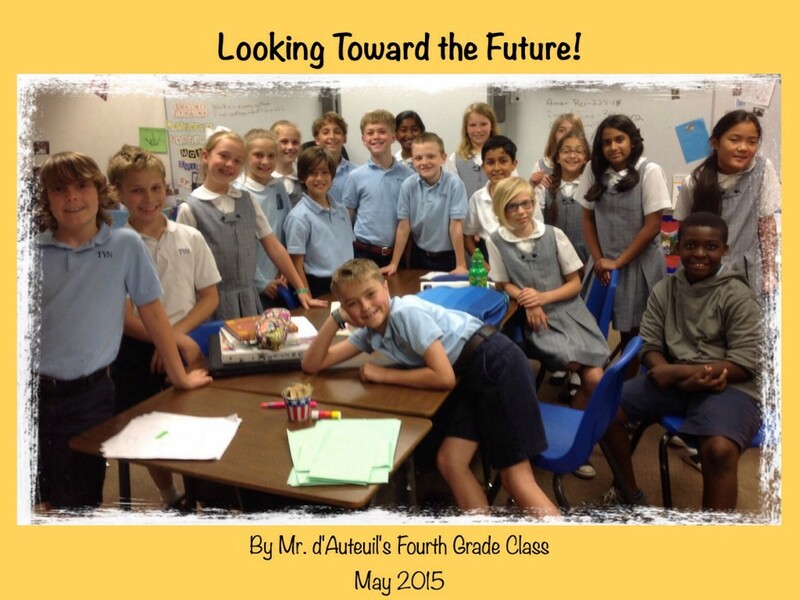 Our 4th graders are at the “top” of their division and will be moving on to middle school very soon. 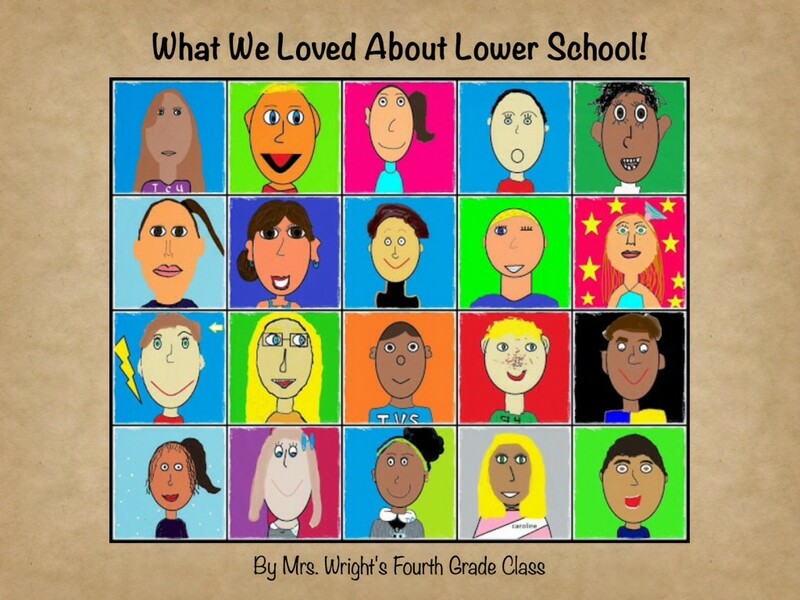 As a “Good-bye to Lower School” project, I ask the students to think back over their past years at our school (whether they’ve been here just for one or two years or they’ve attended since kindergarten) and illustrate their favorite memories. I then ask the children to look ahead to the future and illustrate what they would like to do for a career. 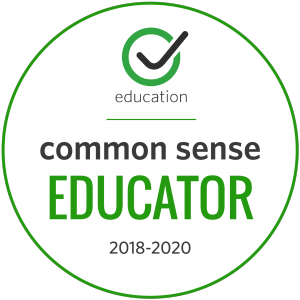 We discuss how ideas may change in the coming years but it’s fun to look back when they go off to college to see if their career plans are similar or completely different! 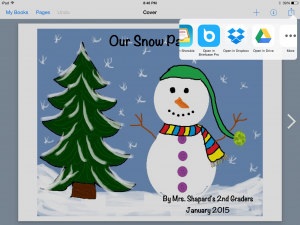 We used Microsoft’s Paint program for the illustrations. 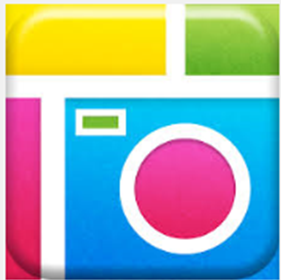 These were uploaded to my Picasa Web Albums – that allowed the students to save their pictures to an iPad. Then they could import the pictures into Explain Everything to record their thoughts. 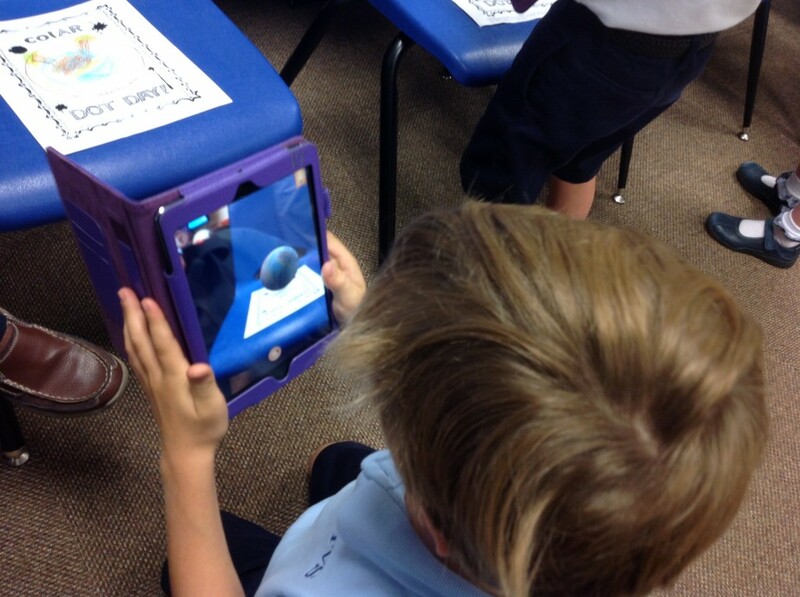 The completed videos were combined into class movies using the iMovie app. 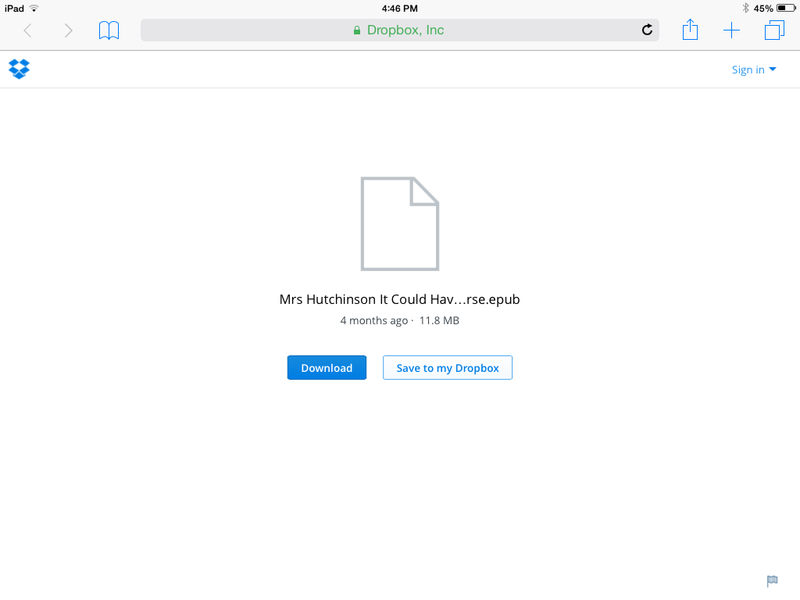 Unfortunately for me, I didn’t check video size limitations to upload to Vimeo! Each video was much too large so I split each class into parts one and two! 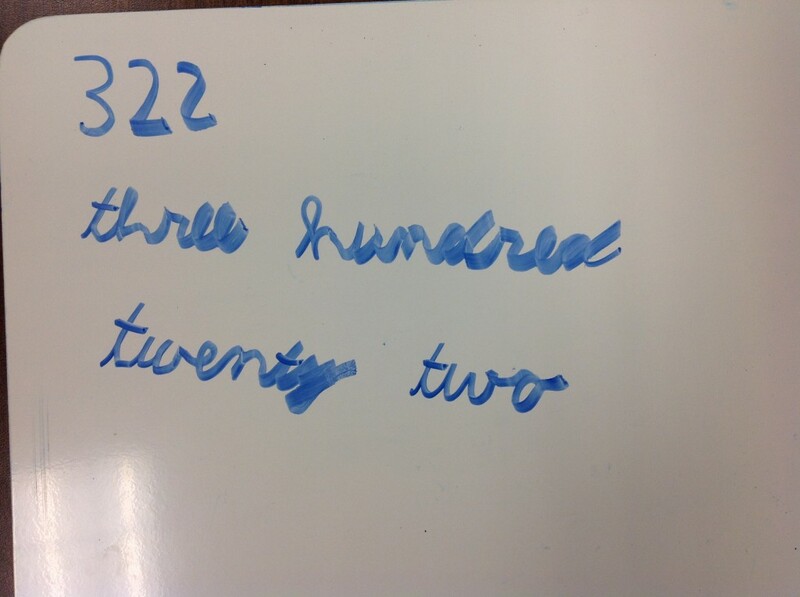 Thanks to a tweet from a student in Kristen Wideen’s class telling how the children were representing 2-digit numbers, our 2nd grader teachers decided to incorporate this fantastic idea into their math lesson. 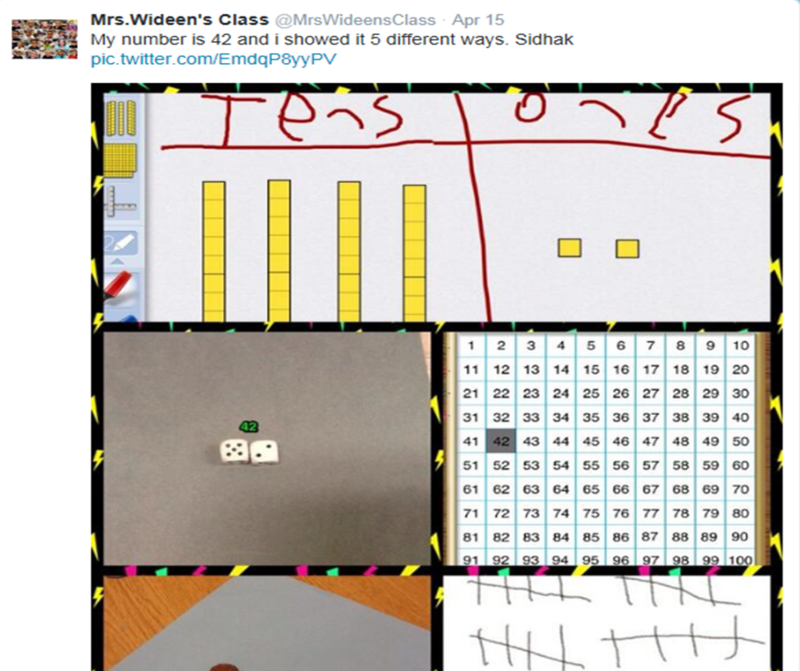 Discovering this tweet was perfect timing as our students are moving into place value for 3-digit numbers! 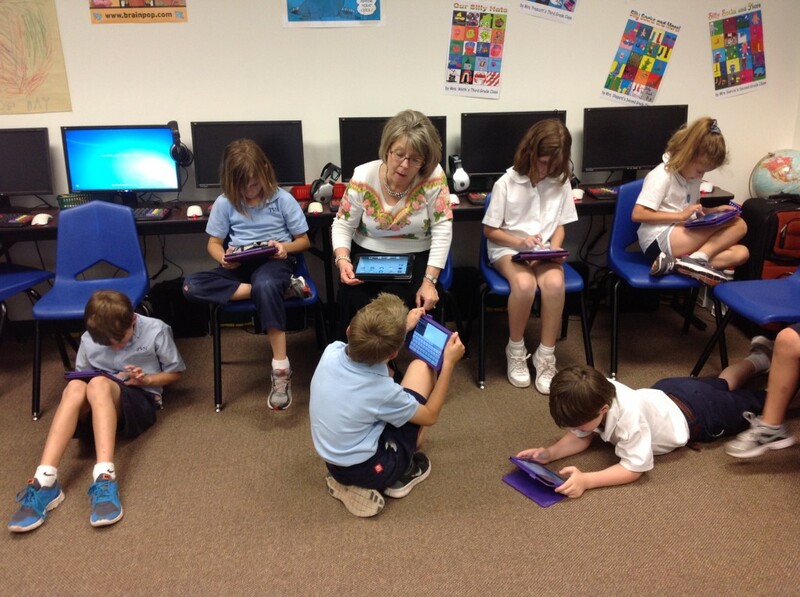 The first thing I did was tweet Mrs. Wideen’s class to find out the app they used for place value blocks. 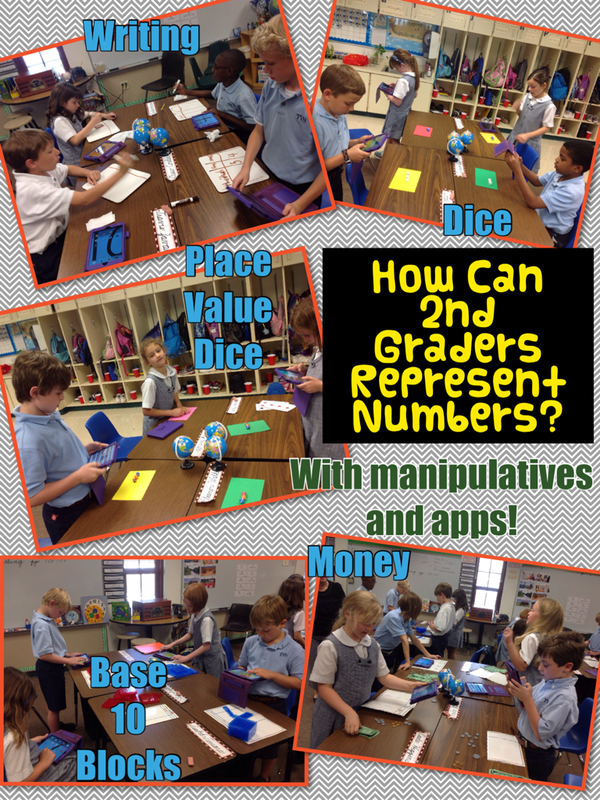 The response was Number Pieces, a free app! 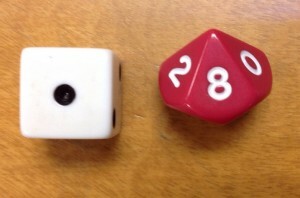 Regular Dice – take a photo. What we discovered was some students put the dice together backwards. In other words, 123 was shown as 321. 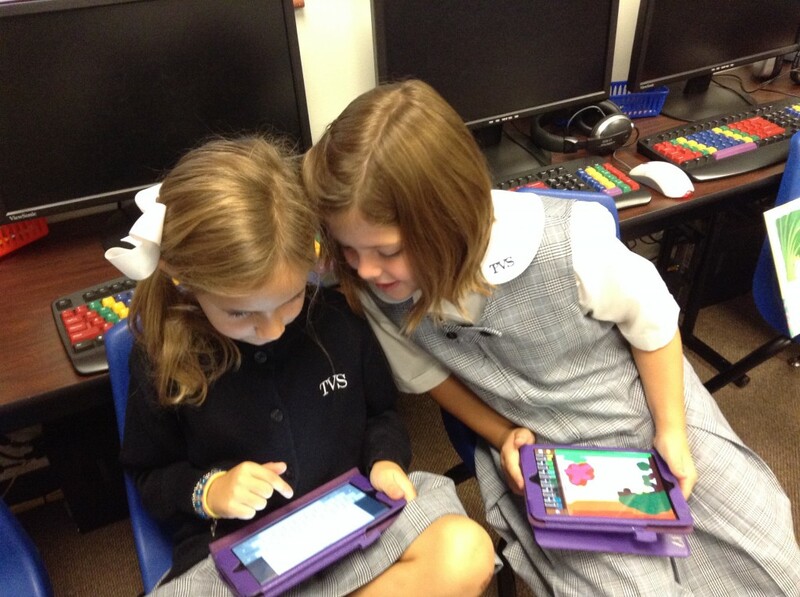 When they realized that, we discovered an easy fix was to rotate the image! 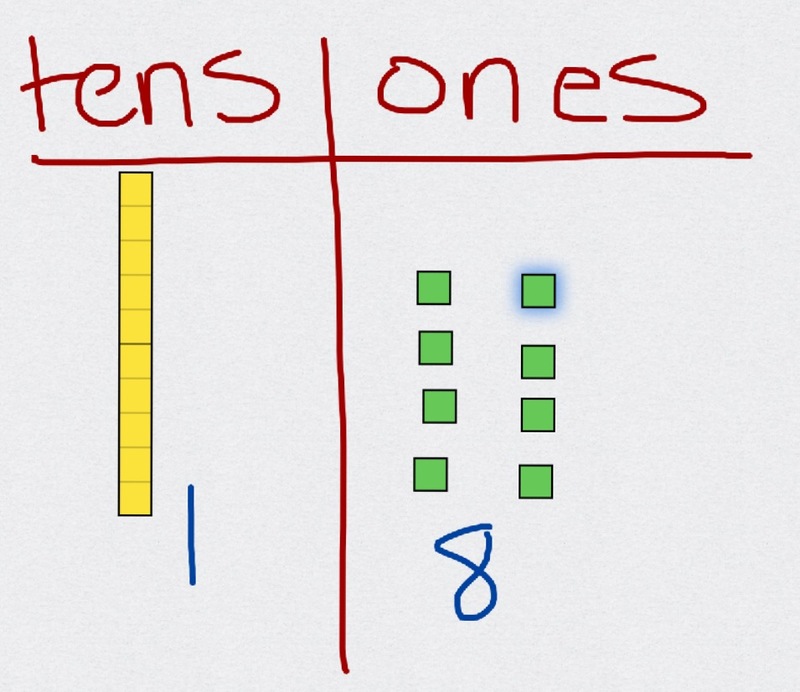 Place Value Dice – take a photo. These are fantastic dice in that students can see the precise value of each digit. 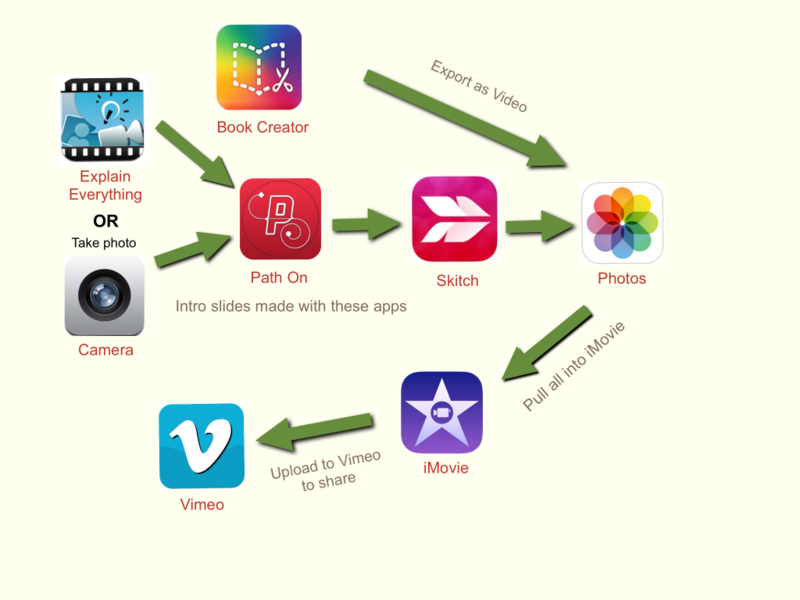 Wh iteboard Writing – take a photo. 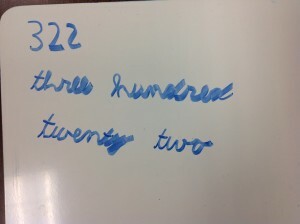 Students were to write the numerals for their number then write it out in words. 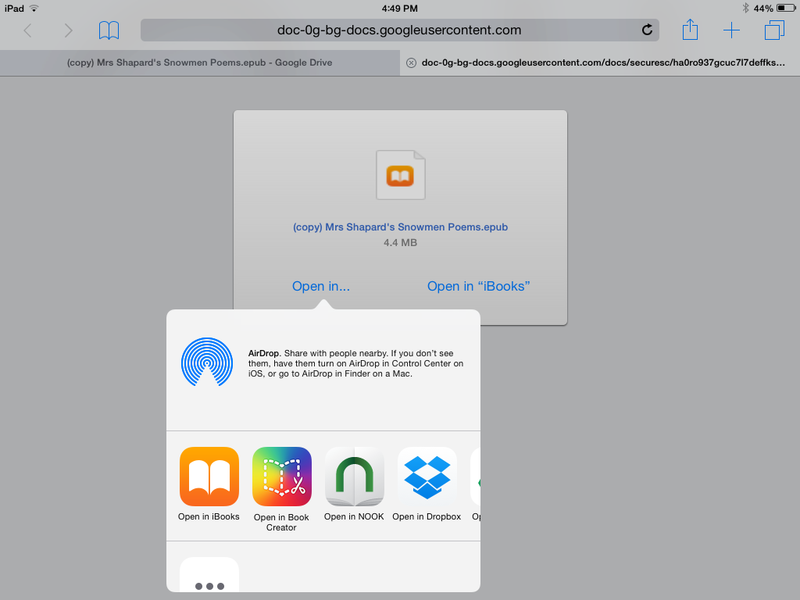 Number Pieces app – take a screen shot. 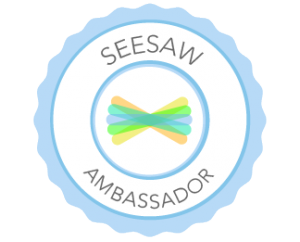 This has an amazing number of features for a free app! 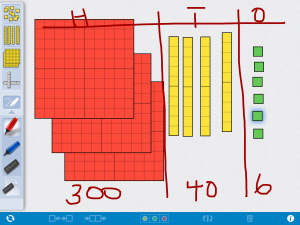 We had the students draw the place value chart and put the blocks in the correct category. 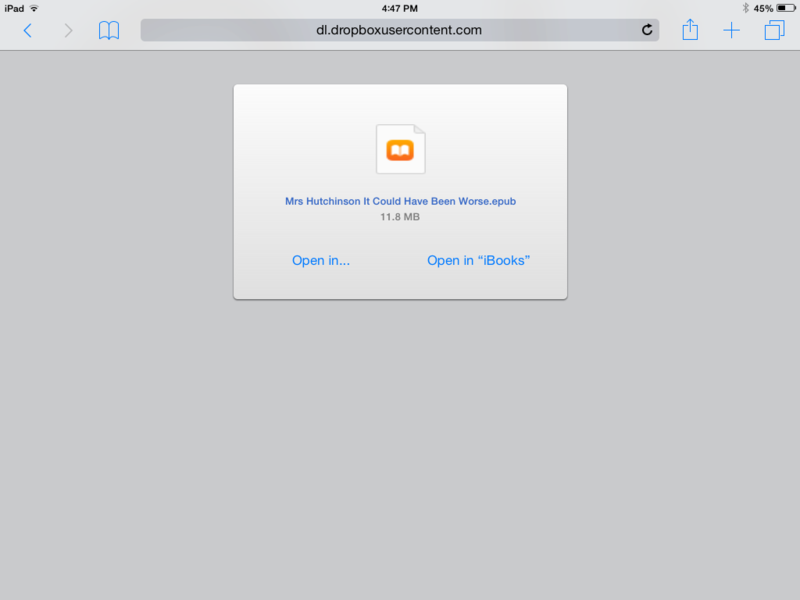 What was discovered is that it is extremely difficult to fit more than 2 or 3 hundreds on an iPad mini! The children had to get pretty creative in stacking the blocks so that they could still be seen. 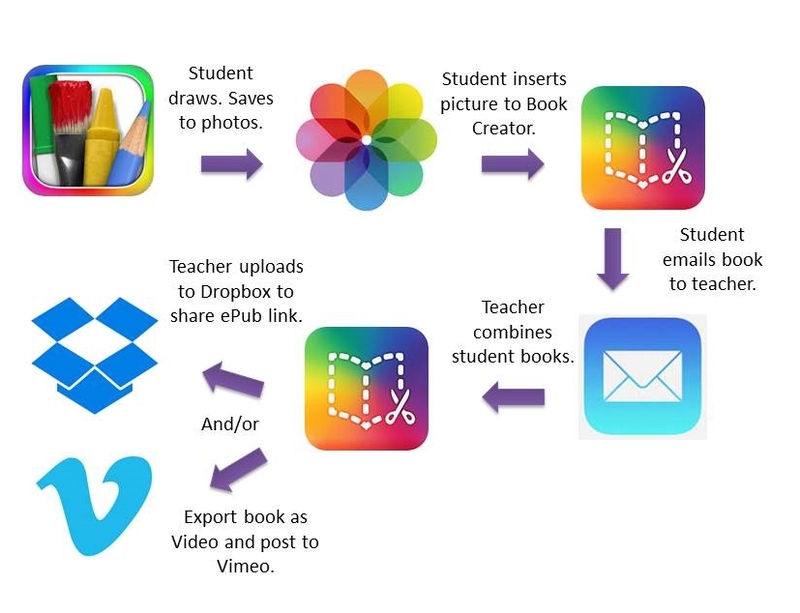 Some of the students wanted only their work to show; not the tools of the app so that provided a perfect opportunity to show how to crop photos. 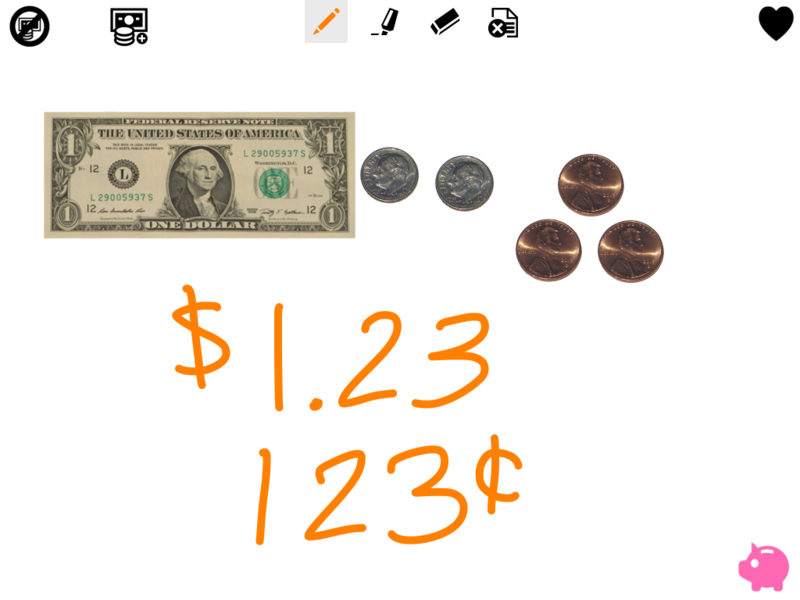 SchoolKit Math: Money – take a screen shot. 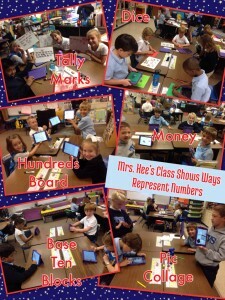 To show the number representation with money, we used the SchoolKit Math app (free). 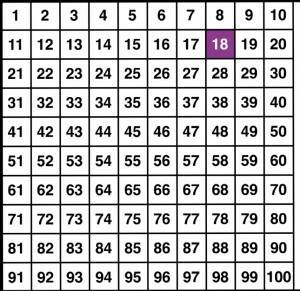 Besides money, this app has a hundreds chart, number line, tens frame, fractions, and more – very useful tools. Working with money to show a number was more difficult than the other ways. 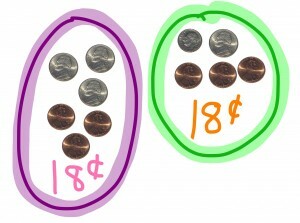 It was tempting, for example, to show 1 dollar, 2 pennies, and 3 pennies for 123. 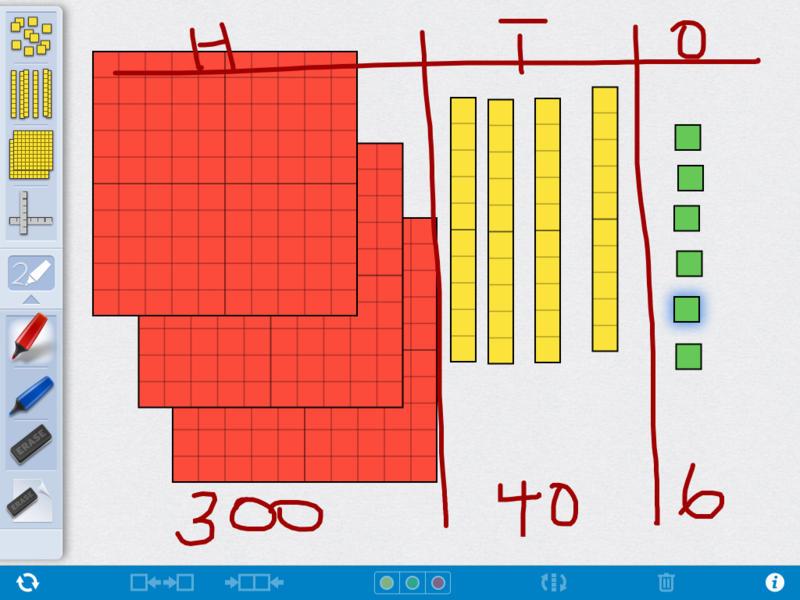 We had to review that the 2 is in the tens place so we would need something to show 20. To pull everything together, we used the Pic Collage app (free). 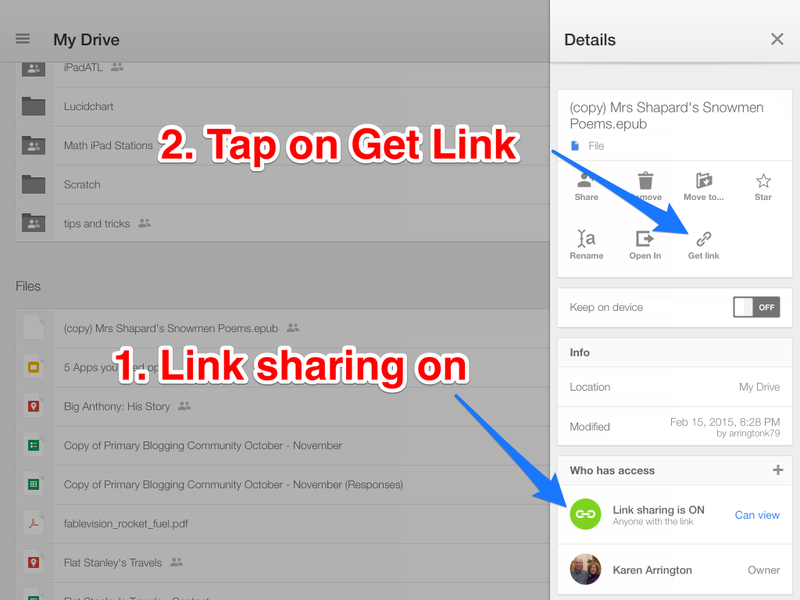 The next step was to share the work. 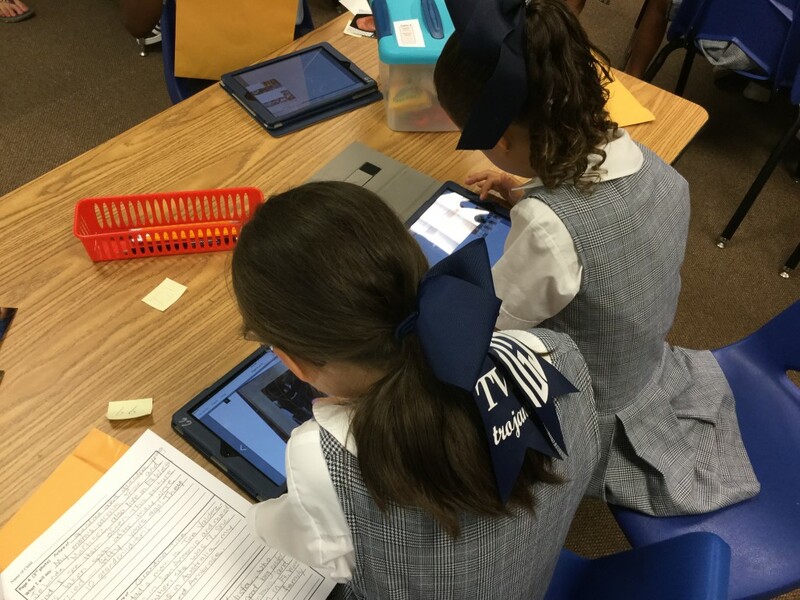 The students added their images to their blog and wrote a description of what they did. They would love comments!